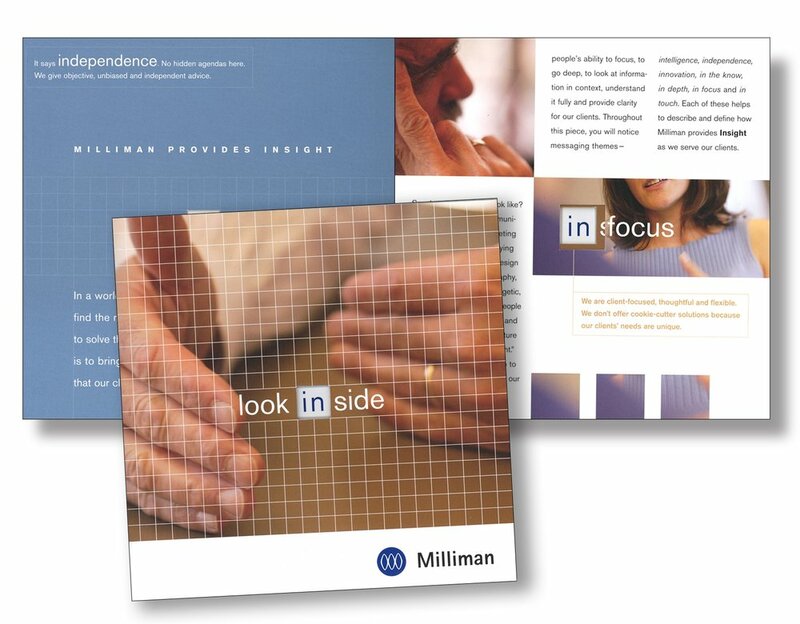 Altamira created a corporate campaign to raise awareness and understanding of Milliman's unique position as an independent leader in risk management actuarial and consulting services. 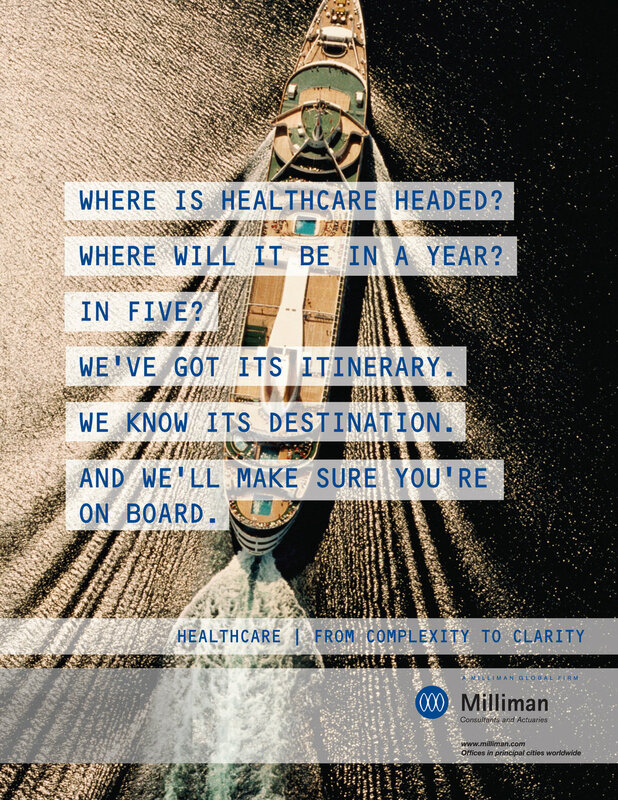 The campaign leveraged Milliman's core value proposition - insight - and created a unique voice through a confident and determined tone that assured constituents that Milliman knows how to tackle complex challenges. 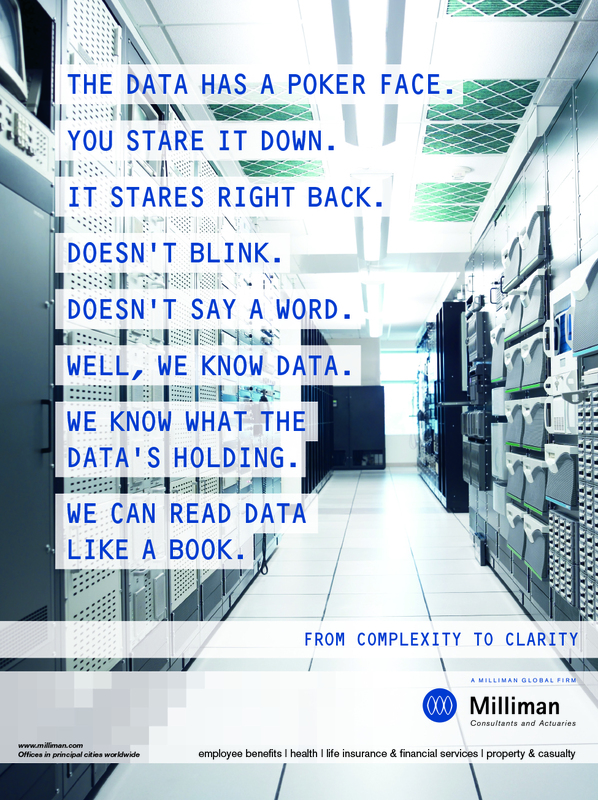 While the original assignment focused on the corporate message, the campaign was extended to support business units including employee benefits, property & casualty, and health and life insurance sectors. 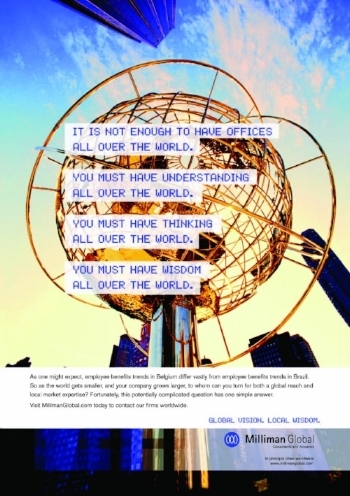 The campaign was also extended to global offices as well an internal communications program, implemented in conjunction with an overhaul of sales and presentation materials.